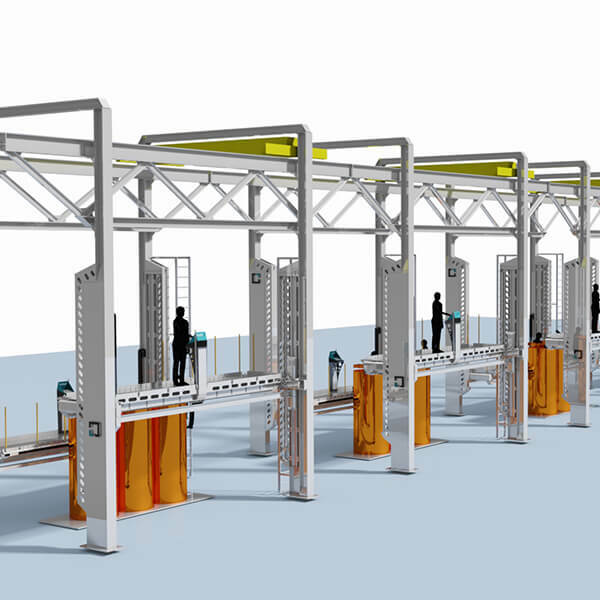 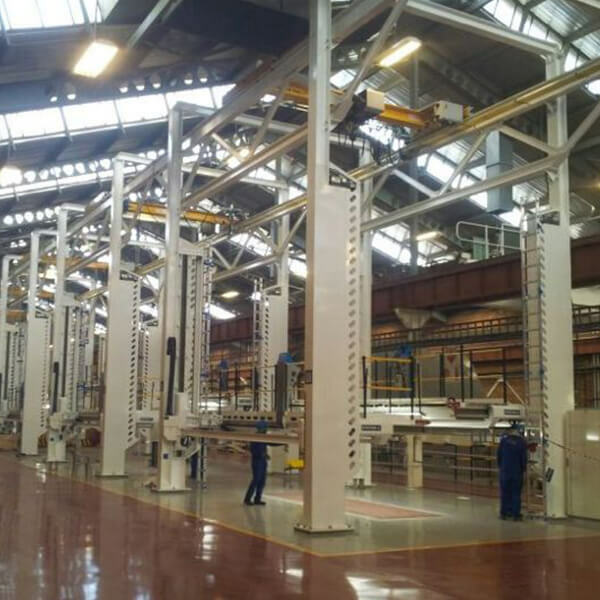 The assembly platforms have been designed specifically to accommodate the workflow of the product through the production line. 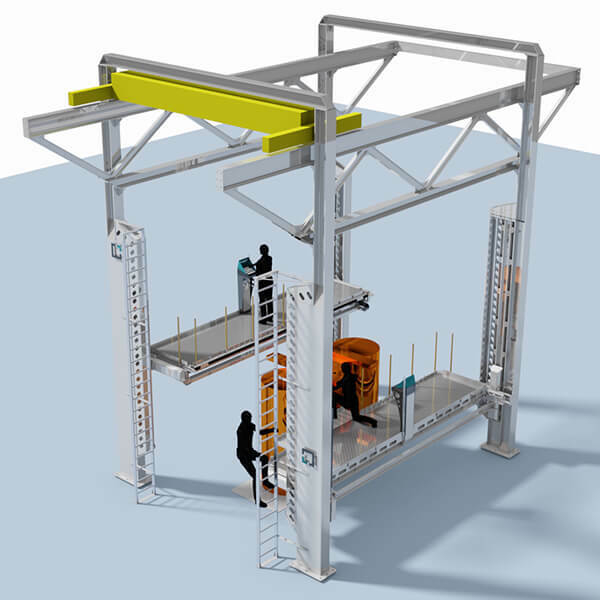 Each platform is fitted with its own 5 ton overhead crane to assist with assembling heavy components. 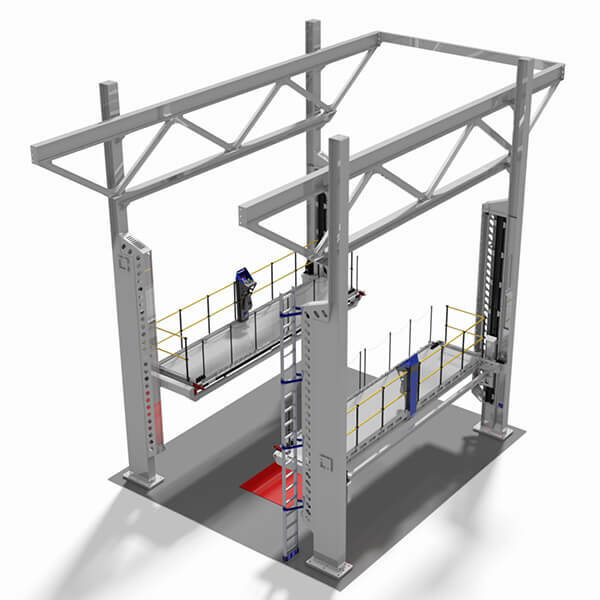 The working platform can move in a vertical (up/down) and horizontal (in/out) direction. 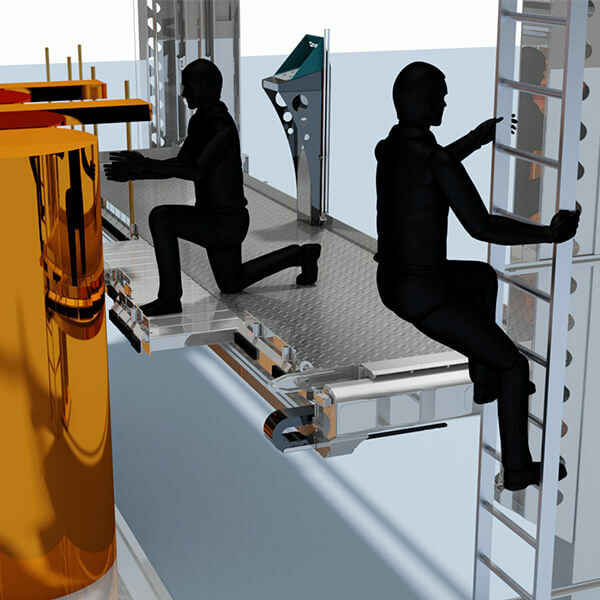 Extendable “fingers” can be manually positioned to reduce the space around the circumference of a round object. 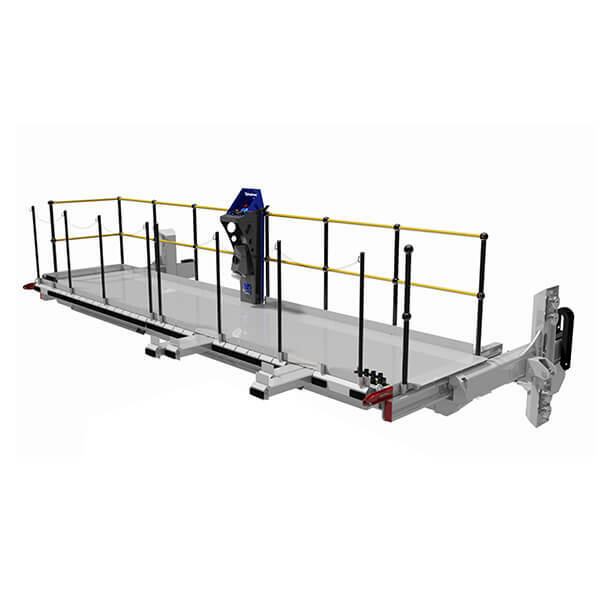 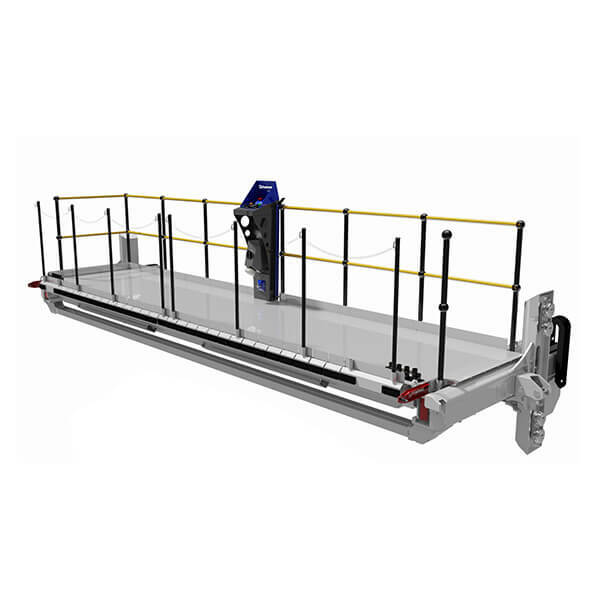 The platform is capable of lifting 1500kg in total. 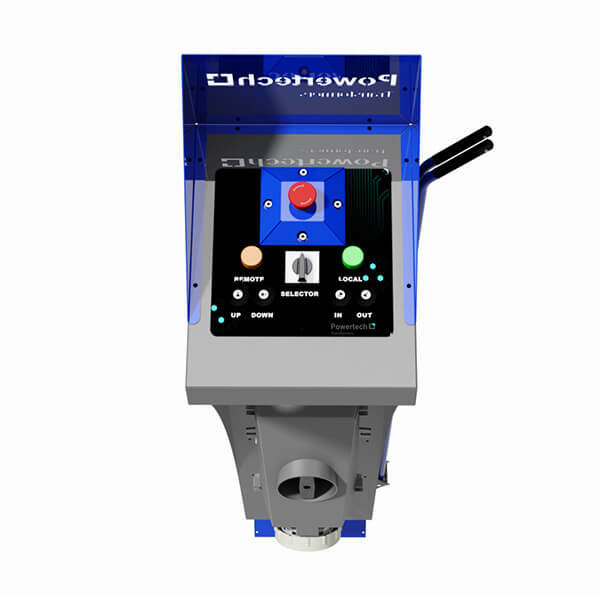 It is fitted with a low-friction ball screw and linear bearings which limit noise generation and wear during operation. The platform speed is regulated with a variable speed drive which insures a gradual decrease in speed when the platform is stopped. 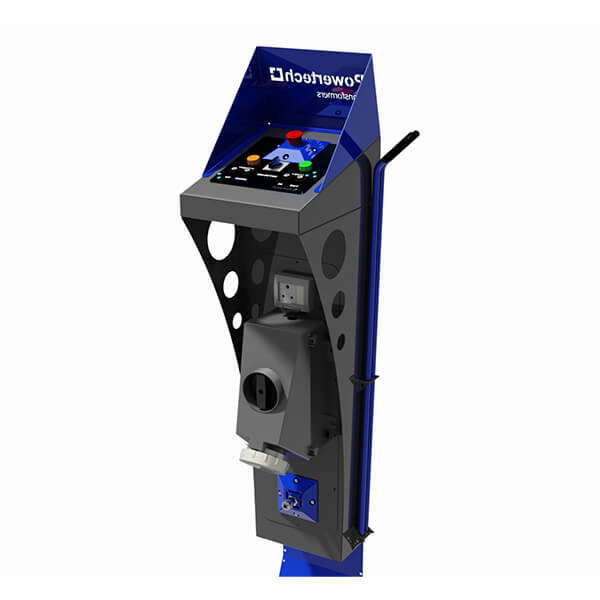 This reduce wear on the system components resulting in less maintenance being required. 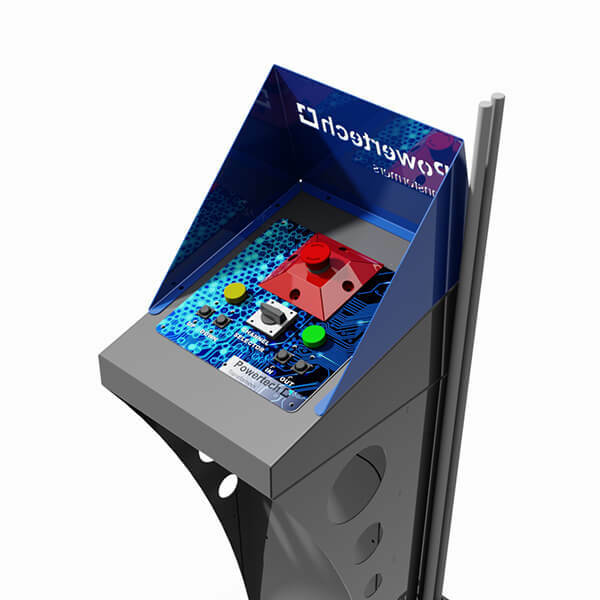 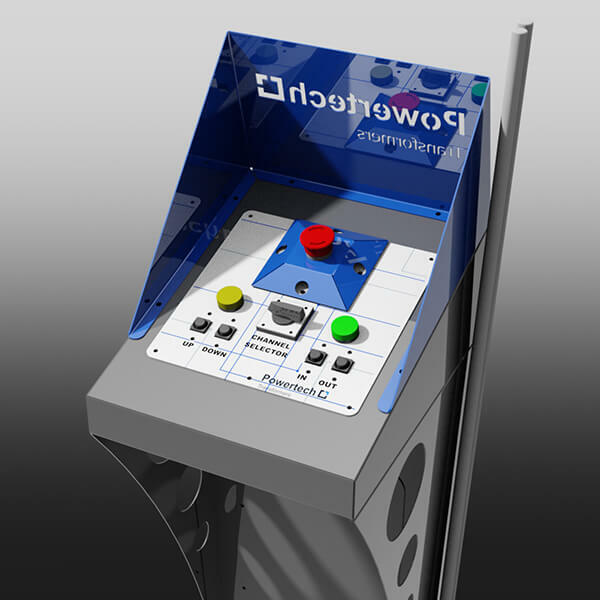 The platform controller will automatically stop the system if the mechanical limit switches are triggered. 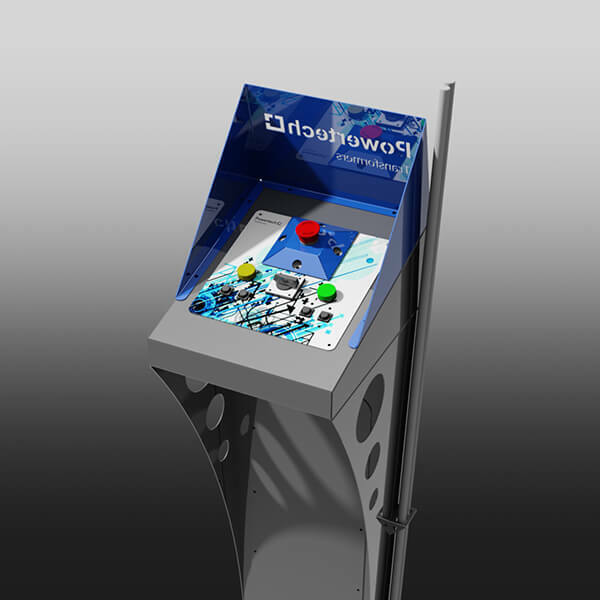 The platform can be controlled with the control panel on the platform or remotely with a wireless controller. 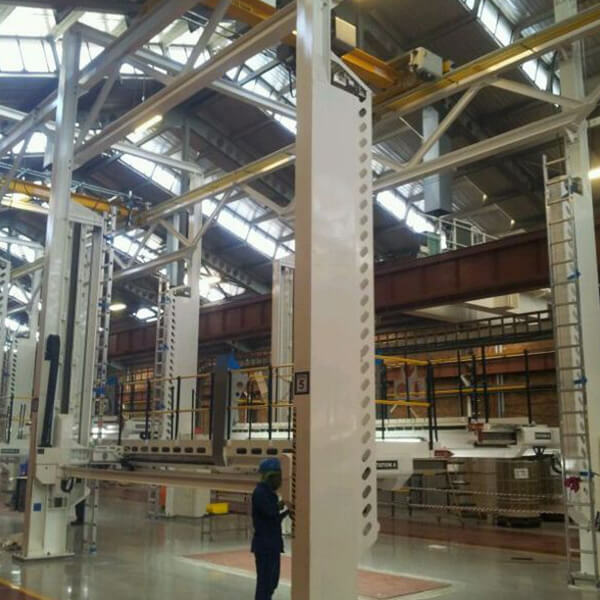 These platforms have been designed for operation in the production assembly lines.